Finnish media analyse the Prime Minister's surprise announcement to call a confidence vote on his own government, and news of a daycare teacher salary increase. Tampere-based daily Aamulehti looks at Prime Minister Juha Sipilä's Thursday decision to call a confidence vote on his centre-right coalition in the Finnish Parliament, after strident union opposition to his government's proposal to make it easier to fire employees of small companies. Sipilä said he called the vote to assess MP support for his coalition's policies as a whole, not just the bill on weaker employment dismissal protection. "We have been asked to stop preparation of the controversial law, so we are looking for parliamentary support. Can we continue with our policy line that has thus far brought 115,000 new jobs?" Sipilä asked. Sipilä will submit a rare PM communiqué to the legislators next Tuesday, followed by a confidence vote on Wednesday. The premier said on Thursday that the unorthodox move is not intended to bring Finland's striking unions to their knees, but AL reports that it is clear that he is hoping that the labour groups will back down if the confidence vote indicates majority support. "People generally protest against the government, not as much against parliamentary policy," Sipilä said on Thursday. If Sipilä does not gain the majority of MPs' support in next Wednesday's vote, he will be forced to dissolve government and step down as prime minister, AL writes. Next, the tabloid Ilta-Sanomat talks with the leader of Finland's largest opposition party, the Social Democratic Party chair Antti Rinne on Sipilä's bold move. He dismisses Sipilä's confidence vote motion as a "clumsy attempt" to pit the Finnish Parliament and the unions against each other. "When in reality, it is his coalition and the unions that are in opposition. The Prime Minister perhaps harbours some uncertainty about his own ranks, and this is his attempt to get them in order," Rinne told IL. He told the tabloid that Sipilä is trying to disguise his bill to weaken job security by wrapping it in the broader blanket of his coalition's employment policy. He tells IL that his party has no intent to back down on its opposition to the proposed legislation. 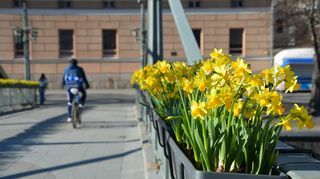 "The SDP will under no circumstances approve the loss of dismissal protections, and the division of the Finnish labour market into two," Rinne said. "If a law like this slips through Parliament, it will have to be changed quickly after the parliamentary elections. At least this will be the case if we are deciding things." Ilta-Sanomat points out that the next parliamentary elections are scheduled for April 2019, with recent polls showing Rinne's SDP on top. Finland's second major tabloid Iltalehti features an opinion column from political reporter Tommi Parkkonen who dubs Sipilä's confidence vote "The Great Smokescreen Show". He says the stunt is another in a long line of the former-business-leader Sipilä's strongman techniques in his three years as prime minister, a period that has included "threats, theatre, and outright obfuscation". Parkkonen writes that Thursday's press conference was more of the same; once again Sipilä presents himself with a serious face in front of the cameras to say that his government will fall "if everyone doesn't do exactly what I want". The IL reporter writes that Sipilä knows that his three-party coalition is in no danger of losing the vote, so he can once again use the drama as a smokescreen. 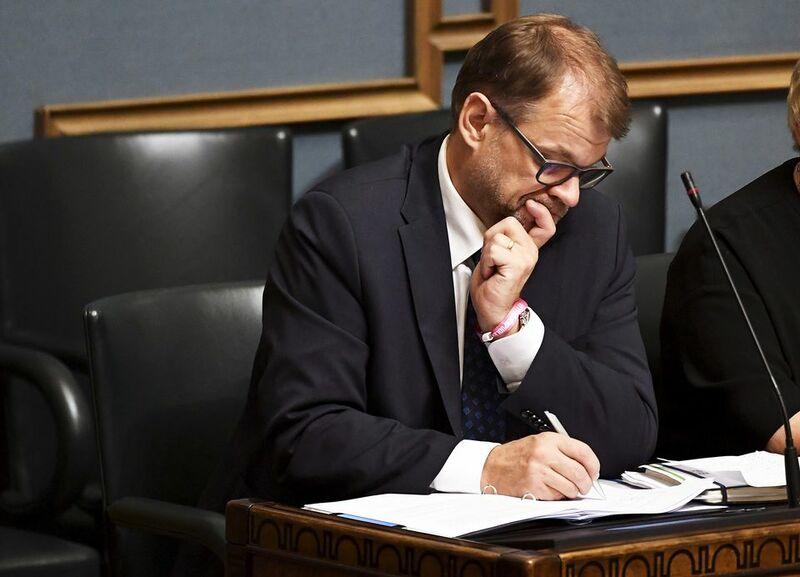 Parkkonen's colleague Timo Haapala chimed in, calling the premier's communiqué a "pathetic theatre trick", similar to the confidence vote on Foreign Minister Timo Soini in September. The implication Sipilä is trying to project, Parkkonen writes, is that after the Wednesday vote, anyone who dares to oppose the work of the government is an anti-democratic-process rabble-rouser. In the same way, if after the confidence vote is passed by the majority of the Finnish Parliament, someone still opposes the bill making it easier for small firms to fire employees, than they are opposed to creating more jobs in Finland. This, despite almost every expert saying the proposed law would have minimal effect on improving employment figures, Parkkonen writes. And finally, the financial periodical Talouselämä has a story this Friday on the acute need for more daycare teachers in the Helsinki area. The city of Helsinki announced on Friday that it would be increasing the salary of its approximately 2,000 daycare teachers by 175 euros monthly starting in January 2019 to try and attract more qualified workers. Helsinki's HR director Marju Pohjaniemi says the salary increase will cost the city "several million" euros. Discussion of the poor monthly salary of daycare teachers in the capital city area grew heated last spring after the public broadcaster Yle carried a story on an unofficial pay deal between Espoo, Helsinki and Vantaa to keep salary levels in the field low, in spite of hundreds of vacancies and a severe shortage of skilled professionals. Pohjaniemi told the periodical that the starting salary in Helsinki for a daycare teacher is 2,367 euros per month, with possible added compensation for years of experience, for example. Talouselämä reports that the labour shortage situation in the country's capital city has now become so acute that the city has introduced a 500-euro "recruitment reward" for tips and a 1,000-euro one-time bonus for teachers that work more than six months in a position. Helsinki's HR director says a daycare teacher shortage is a problem everywhere in Finland, and that "more starting places in daycare teacher education programmes would be important."